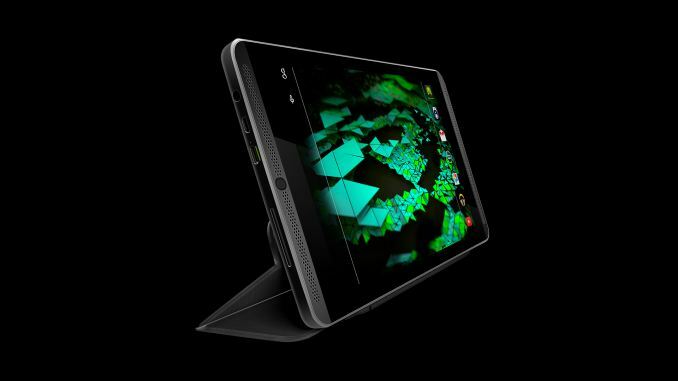 NVIDIA's SHIELD Tablet arrived earlier this year and it was one of the first devices to use NVIDIA's Tegra K1 platform with 4 Cortex A15 cores and a single SMX GPU based on NVIDIA's Kepler architecture. It was a major departure from NVIDIA's previous mobile GPU designs, and it came with a level of GPU performance that was unheard of in an ARM tablet. For the whole story you can take a look at the SHIELD Tablet review. What you may notice on the first page is the listing of a version with LTE support and 32GB of storage. At launch, the SHIELD Tablet was only available in its 16GB WiFi configuration. Today NVIDIA is opening pre-orders for the that model with 32GB of storage and LTE. At $399, the SHIELD Tablet with LTE and 32GB of storage is $100 more expensive than the base model. This pricing is roughly in line with the cost of upgrades to other popular Android tablets like the Nexus 7, and much less expensive than upgrading an iPad to a 32GB model with LTE. The increased amount of storage and the addition of LTE are packaged together with NVIDIA's pricing; you can't just get one upgrade or the other. In addition to the new model of the SHIELD Tablet, NVIDIA is announcing three new games optimized for Tegra K1 that are coming soon. The first is Beach Buggy Racing which is a kart racing game that is a sequel to Beach Buggy Blitz. The second is BombSquad which features various mini-games like capture the flag and hockey, with the addition of explosive weapons to blow up the other players. The last new title is Broadsword: Age of Chivalry which is a turn-based strategy game where the player assumes the role of the French or the British and builds their empire. Customers in the United States on AT&T can also receive a special offer when buying the SHIELD Tablet with LTE. When activating it on a qualifying AT&T plan with a 2 year agreement, users will receive a $100 bill credit which effectively covers the cost of upgrading from the WiFi only model. The SHIELD tablet with LTE and 32GB of storage can be pre-ordered now and it will ship on September 30th in the United States and Europe. Pre-orders can be made at Nvidia's official SHIELD website as well as retailers like Amazon, Best Buy, Fry's Electronics, GameStop, Micro Center, Newegg, and Tiger Direct. Information about where to buy in a specific region can be found in the "Where to Buy" section on NVIDIA's website. Ok I'll bite... Compared to what exactly? $399 for the absolute top performing SoC with 32GB and LTE no contract isn't a bargain? I'd like to see the comparable devices that are cheaper. Maybe Apple had something to do with it. Apple had a 3.5 or 4 inch phone and a 9.7 inch 4:3 tablet. This left a lot of room for competitors with larger phones and smaller tablets. The screen area of an an 8 inch tablet is still 1.97x that of a 5.7 inch Galaxy Note, which in turn is about 2.03x the size of a 4 inch screen of 16:9 aspect ratio. A 10-inch 16:9 screen is only 1.56x the size of an 8 inch of the same aspect ratio. To my mind, this puts 8 inch tablets in a different niche from large phones.